Lanky lizards and rubber chickens, slinkster dogs and Lanka girls-Weetzie Bat knows them all in the glitzy never-never land of L.A. With her blonde flat-top and trendy clothes, Weetzie Bat cruises from high school to neon clubs, looking for her Secret Agent Lover Man. When she meets dark-haired Dirk and his red Pontiac, their search for love is a funky, off-beat fable. And when three wishes come true, their adventures create a modern fairy tale. 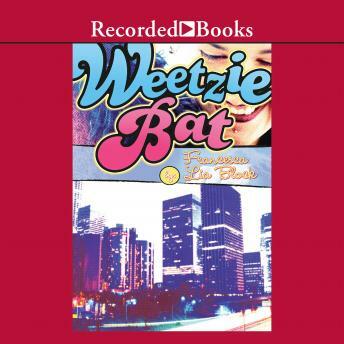 Weetzie Bat has been chosen for school reading lists across the nation. It is an ALA Best Book for Young Adults and an ALA Recommended Book for Reluctant Young Adult Readers. Alyssa Bresnahan's spirited narration highlights the sparkling language and sizzling images of this utterly original book.